It's common for people with a food allergy to carry an EpiPen device, since it's the one item you don't leave home without when you have severe allergies. Carrying an EpiPen or having one nearby is a precautionary measure that can save your life if you're accidentally exposed to an allergen. In fact, you likely have more than one epinephrine auto-injector—perhaps you have one or two in your car and one in a bag you carry with you, plus one or two at home. However, many people don't know how to dispose of used or expired EpiPens once they're done with the medical devices. You can't just throw an EpiPen or another auto-injector in the trash, since it's considered hazardous medical waste. EpiPens need to be disposed of properly. Read on to learn why this is, and how you can take care of it. Why Is Improper Disposal So Dangerous? EpiPens, officially known as "epinephrine auto-injectors," include needles (known as "sharps") that are designed to be able to pierce human skin. This sharp point is necessary so that the user—who by definition is a person in need of emergency epinephrine—can use the device instantly to inject the medication, and so that the medication then can act immediately. But because of this, these "sharps" pose a danger to unsuspecting family members and to sanitation workers who are emptying the garbage. It's possible to be injured by a sharp that's carelessly tossed into the trash. It's also possible for someone whose skin is pierced by a used sharp to contract an infectious disease carried by the person who originally used the sharp. In addition, tossing unused medications into the trash usually means they'll wind up in a landfill. When medication winds up in landfills it can leach into our groundwater, causing health problems for communities nearby. So, if you can’t throw your EpiPen away, what can you do with it? First of all, make sure the device is kept inside its protective case. 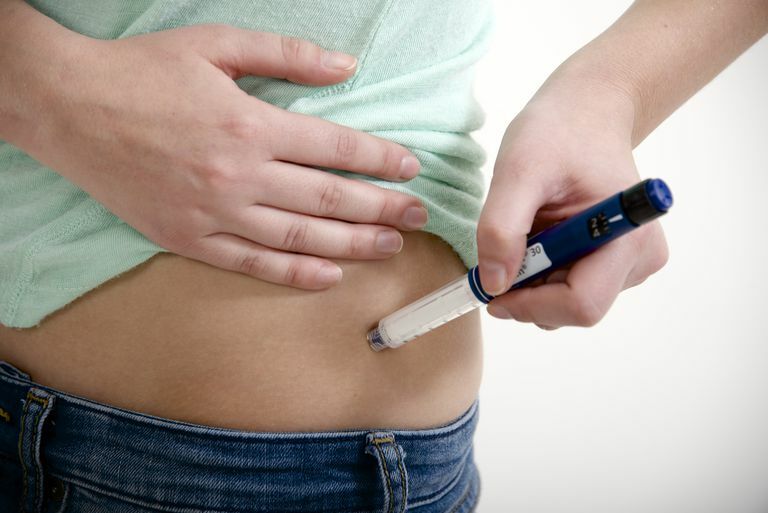 If you have used the auto-injector, return it to its case immediately to reduce the risk of someone else stabbing themselves with the exposed needle. The medical staff at your doctor's office or at a nearby hospital can dispose of expired or used auto-injectors safely with their other medical waste. Ask if you can include sharps in their hazardous medical waste. Some pharmacies now accept expired medications for disposal. Ask your pharmacy if it will take auto-injectors or if it participates in medical waste drives. Some pharmacies hold events once or twice per year when you can turn in expired or otherwise unwanted and unused medication. Some cities or counties have household hazardous waste collection programs that include medical waste. Contact your local sanitation department or hospital to find out if there is a drop-off site available near you. Regulations about the disposal of medical sharps and expired medications vary from state to state. To find out your state regulations for medical waste disposal, visit the federal Environmental Protection Agency website and click on your state. Epinephrine is a very finicky drug. It expires quickly and can easily lose its effectiveness if left in a hot car or if it gets too cold. This is easy to check: If the liquid inside your auto-injector is cloudy, you need a new EpiPen. Epinephrine auto-injectors are made to last one year, the length of a typical prescription. Unfortunately, pharmacies often have a stock of auto-injectors that have been sitting on the shelf waiting to be dispensed, and meanwhile are getting closer and closer to their expiration dates. Sometimes pharmacies will dispense pens that are less than fresh. Therefore, you always should check the expiration date on your auto-injector when you first get your prescription. If the device expires in less than a year, ask the pharmacist for a fresher one. You will need to check the expiration date on the actual injector to make sure it will last as long as your prescription is good. In addition, be sure to write your auto-injector's expiration date on your calendar to remind you to get a refill. If you haven’t done this, check your auto-injector now to make sure it hasn’t expired, and that the liquid inside is still clear. U.S. Food and Drug Administration. Dos and Don'ts of Used Sharps Disposal fact sheet.